Eimer Ní Mhaoldomhnaigh had a difficult role ahead of her in dressing the cast of BBC’s Little Women in an authentic 1868 look to grab Boxing Day audiences. 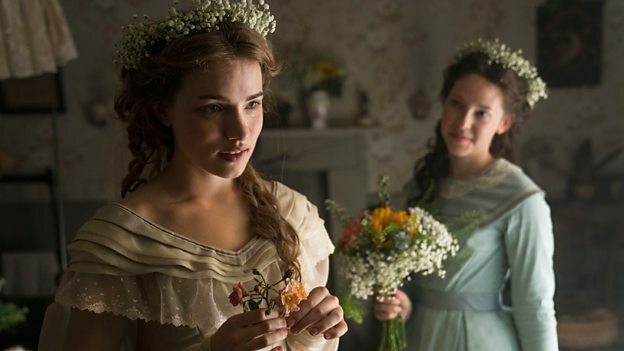 The new version of Little Women by Louisa May Alcott has been adapted by Heidi Thomas, creator and writer of Call the Midwife. It will air across three nights on BBC1 on Boxing Day and Wednesday 27th December beginning at 8pm and on Thursday 28th December it will be broadcast at 8:30pm. The story is a poignant and semi-autobiographical ‘coming of age’ story as four girls rise to womenhood. Jo, Meg, Beth, and Amy March are four sisters living with their mother in New England. Their father is away serving as a chaplain in the Civil War and the sisters struggle to support themselves as the family recently lost its fortune. Each faces her own moral challenges. Jo must tame her tomboyish ways and learn to be more ladylike while pursuing her ambition to be a great writer while in contrast Meg, the oldest, must put aside her love of wealth in order to follow her heart.